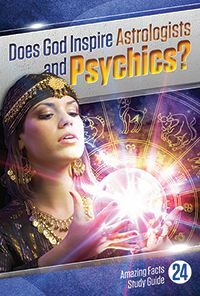 Media Library / Bible Study Guides / Does God Inspire Astrologers and Psychics? If some self-proclaimed prophet suddenly arose and began drawing crowds with stirring messages, healing the sick, raising the dead, bringing fire down from heaven, and revealing knowledge of your personal secrets—would you believe in him or her? Should you believe? Your ultimate destiny just might be tied directly to your ability to distinguish between true and false prophets. So it’s very important to know what the Bible really says about this timely subject! 1. Does the Bible teach that there will be true prophets in the last days of earth? “It shall come to pass in the last days, says God, that I will pour out of My Spirit on all flesh; your sons and your daughters shall prophesy” (Acts 2:17). Answer: Yes. Both men and women will prophesy in the last days (Joel 2:28–32). 2. 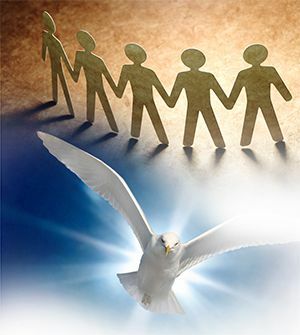 Jesus at His ascension placed the gift of prophets in His church, along with four other gifts: apostles, evangelists, pastors, and teachers (Ephesians 4:7–11). Why did God place these gifts in the church? “For the equipping of the saints for the work of ministry, for the edifying of the body of Christ” (Ephesians 4:12). Answer: Jesus gave all five gifts for the equipping of His saints. The equipping of God’s end-time church is not possible if any of these five gifts is missing. The Bible says that God gives the gift of prophecy to both men and women. 3. In Bible days, was the gift of prophecy limited to men? Answer: No. In addition to many men who had the gift of prophecy, God also gave the gift to at least eight women: Anna (Luke 2:36–38); Miriam (Exodus 15:20); Deborah (Judges 4:4); Huldah (2 Kings 22:14); and the four daughters of Philip, an evangelist (Acts 21:8, 9). 4. How long were these gifts to remain in God’s church? “Till we all come to the unity of the faith and of the knowledge of the Son of God, to a perfect man, to the measure of the stature of the fullness of Christ” (Ephesians 4:13). Answer: They will remain until God’s people are all unified, mature Christians—which, of course, will be at the end of time. 5. From what source do true prophets obtain their information? “Prophecy never came by the will of man, but holy men of God spoke as they were moved by the Holy Spirit” (2 Peter 1:21). Answer: Prophets do not express their own private opinions in spiritual matters. Their thoughts come from Jesus, through the Holy Spirit. 6. God speaks to prophets in three different ways. What are these ways? “If there is a prophet among you, I, the Lord, make Myself known to him in a vision; I speak to him in a dream. ... I speak with him face to face” (Numbers 12:6, 8). Answer: Visions, dreams, or face to face. 7. What are the physical evidences of a true prophet in vision? A. Will initially lose physical strength (Daniel 10:8). B. May later receive supernatural strength (Daniel 10:18, 19). C. No breath in the body (Daniel 10:17). D. Able to speak (Daniel 10:16). E. Not aware of earthly surroundings (Daniel 10:5–8; 2 Corinthians 12:2–4). F. Eyes will be open (Numbers 24:4). These six Bible points provide the physical evidences of a true prophet in vision; not all of them always appear together. A prophet’s vision may be genuine without manifesting all six evidences at once. 8. Is the working of great miracles proof that a prophet is of God? “They are spirits of demons, performing signs [miracles]” (Revelation 16:14). Answer: No. The devil and his emissaries also have the power to work miracles. Miracles prove only one thing: supernatural power. But such power comes from both God and Satan (Deuteronomy 13:1–5; Revelation 13:13, 14). 9. Of what perilous end-time danger does Jesus warn us? “False christs and false prophets will rise and show great signs and wonders to deceive, if possible, even the elect” (Matthew 24:24). Answer: God warns us of false christs and false prophets who will be so extremely convincing that they will deceive all except the very elect of God. Billions will be deceived and lost. 10. How can I determine whether a prophet is true or false? 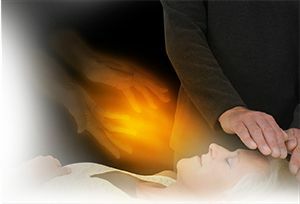 Psychics and diviners who claim to be guided by spirits of the dead are not led of God. 11. 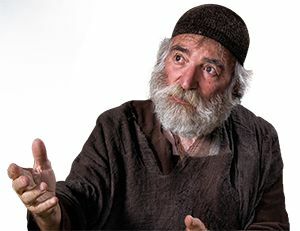 Are certain types of false prophets specifically named and condemned in the Bible? Most of these false prophets claim to have contact with spirits of the dead. The Bible clearly states that the dead cannot be contacted by the living. (Study Guide 10 contains more information on death.) The supposed spirits of the dead are evil angels—devils (Revelation 16:13, 14). Crystal balls, palm reading, leaf deciphering, astrology, and talking with the supposed spirits of the dead are not God’s ways of communicating with people. The Scriptures teach plainly that all such things are an abomination (Deuteronomy 18:12). And worse, those who continue to be involved will be shut out of God’s kingdom (Galatians 5:19–21; Revelation 21:8; 22:14, 15). 12. Is a true prophet’s work primarily to serve the church or to serve unbelievers? “Prophesying is not for unbelievers but for those who believe” (1 Corinthians 14:22). Answer: The Bible is clear. Although a prophet’s message may sometimes edify the public, the primary purpose of prophecy is to serve the church. 13. Does God’s end-time church have the gift of prophecy? A. It would not exist as an official organization between ad 538 and 1798. B. It would arise and do its work after 1798. C. It would keep the Ten Commandments, including the seventh-day Sabbath of the fourth commandment. D. It would have the gift of prophecy. E. It would be a worldwide missionary church. 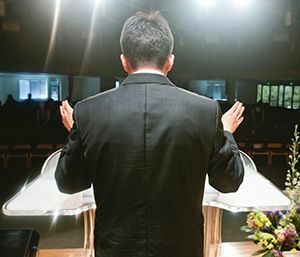 F. It would be teaching and preaching Jesus’ three-point message of Revelation 14:6–14. It is important to remember that God’s end-time remnant church must fit all six of Jesus’ descriptive points. This means that the gift of prophecy must be included. It will have a prophet. 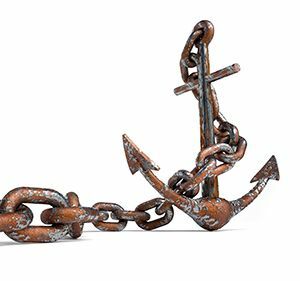 Joining God's church, which has all the gifts, will anchor you spiritually. 14. When you join God’s end-time church, which has all of the gifts, how will it affect you? “That we should no longer be children, tossed to and fro and carried about with every wind of doctrine, by the trickery of men, in the cunning craftiness of deceitful plotting” (Ephesians 4:14). Answer: It will anchor you spiritually. You will no longer be uncertain and unsettled in your beliefs. The eye of the church symbolize prophecy. 15. The apostle Paul, in 1 Corinthians 12:1–18, likens the gifts that Jesus gave the church to parts of the body. What part of the body best represents the gift of prophecy? “Formerly in Israel, when a man went to inquire of God, he spoke thus: ‘Come, let us go to the seer’; for he who is now called a prophet was formerly called a seer” (1 Samuel 9:9). Answer: Since a prophet is sometimes called a seer (someone who can see into the future), the eyes would best represent the gift of prophecy. A church without the gift of prophecy is blind. 16. Since prophecy is the eyes of the church, a church without the gift of prophecy would be in what condition? Answer: It would be blind. Jesus referred to the subsequent dangers when He said, “If the blind leads the blind, both will fall into a ditch” (Matthew 15:14). 17. Must God’s remnant church have all the gifts that Christ gave? Answer: Yes. The Scriptures plainly teach that God’s end-time church will “come short in no gift,” which means it must have all of the gifts, including the gift of prophecy (1 Corinthians 1:5–8). 18. Revelation 12:17 points out that God’s end-time remnant church will “have the testimony of Jesus Christ.” Revelation 19:10 says that “the testimony of Jesus is the spirit of prophecy.” Can we be sure this means that the church will have a prophet? Answer: Yes. An angel told the apostle John in Revelation 19:10 that he was John’s “fellow servant,” one of his “brethren” who have the testimony of Jesus. This same angel repeated the identical information in Revelation 22:9, saying, “I am your fellow servant, and of your brethren the prophets.” Notice this time he called himself a prophet rather than one with the testimony of Jesus. So having the “testimony of Jesus” and being a prophet mean the same thing. 19. 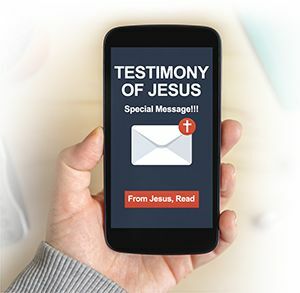 Of what other special significance are the words the “testimony of Jesus”? Answer: The “testimony of Jesus” means that the words of a prophet are from Jesus. We are to regard the words of a true prophet as a special message from Jesus to us (Revelation 1:1; Amos 3:7). To bring reproach, in any way, upon a true prophet is extremely dangerous. It is the same as bringing reproach upon Jesus, who sends them and guides them. No wonder God warns, “Do My prophets no harm” (Psalm 105:15). 20. 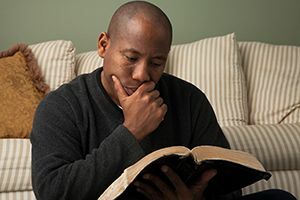 What are the Bible qualifications for a true prophet? A. Live a godly life (Matthew 7:15–20). B. Be called to service by God (Isaiah 6:1–10; Jeremiah 1:5–10; Amos 7:14, 15). C. Speak and write in harmony with the Bible (Isaiah 8:19, 20). D. Predict events that come true (Deuteronomy 18:20–22). E. Will have visions (Numbers 12:6). 21. Did God send a prophet to His end-time remnant church? God’s end-time church began to form in the early 1840s and desperately needed guidance. So, in harmony with His promise of Amos 3:7, God called a young woman named Ellen Harmon to be His prophetess. Ellen accepted the call. She had been injured in an accident at age nine and had to quit school with only three years of formal education. Her health deteriorated until, when called by God at age 17, she weighed only 70 pounds and had been given up to die. Ellen accepted God’s call with the understanding that He would enable her physically and keep her humble. She lived an additional 70 years and died at age 87. She insisted that her aim and work were to point the church and its members to the Bible—which was to be its creed—and to Jesus’ free gift of righteousness. Ellen fulfilled every test of a prophet mentioned in this Study Guide. 22. 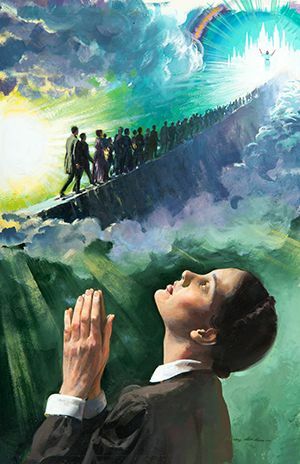 Did Ellen White have visions? Answer: Yes—many of them. They lasted from a few minutes to six hours. And they meet the Bible standard for visions as outlined in the answer to question 7 of this Study Guide. 23. Are Ellen White’s words intended to be part of the Bible or an addition to the Bible? Answer: No. Doctrine comes from the Bible alone. As an end-time prophet, her aim was to stress the love of Jesus and His imminent return. She urged people to serve Him and accept His righteousness as a free gift. She also directed people’s attention to the Bible prophecies for the end time—especially Jesus’ three-point message for the world today (Revelation 14:6–14). She urged that they share these messages of hope quickly and worldwide. 24. Did Ellen White speak in harmony with the Scriptures? Answer: Yes! Her writings are saturated with Scripture. Her stated purpose was to point people to the Bible. Her words never contradict God’s Word. 25. How can I accept Ellen White as a true prophet, since I do not know what she wrote? Answer: You can’t—until you read what she has written. However, you can know that (1) God’s true end-time church must have a prophet, that (2) Ellen White met the tests of a prophet, and that (3) she did the work of a prophet. We urge you to obtain and read one of her books and see for yourself. 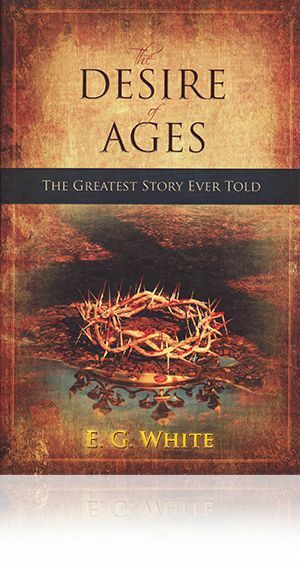 (An inexpensive paperback copy of The Desire of Ages may be purchased from Amazing Facts.) As you read it, ask yourself if it draws you to Jesus and if it is in harmony with the Bible. We think you will find it absolutely enthralling. It was written for you! 26. What three-point command does the apostle Paul give us regarding a prophet? Answer: Paul says that we should not despise or “tune out” a prophet. Rather, we should carefully test by the Bible what the prophet says and does. If a prophet’s words and behavior are in harmony with the Bible, we should heed them. This is what Jesus asks of His end-time people today. 27. How does Jesus regard the rejection of the words and counsel of a true prophet? Answer: Jesus counted the rejection of a true prophet as rejecting the will of God (Luke 7:28–30). Further, He stated that spiritual prosperity hinges upon believing His prophets (2 Chronicles 20:20). The words of a true prophet always lead people to a deeper study of the Bible. 28. Do true end-time prophets originate new doctrine, or does doctrine come strictly from the Bible? by the prophet (Amos 3:7). B. Lead God’s people into a closer walk with Jesus and a deeper study of His Word. 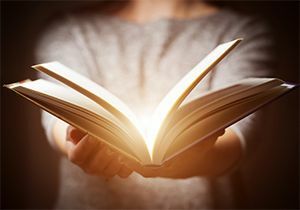 C. Help God’s people understand difficult, unclear, or unnoticed portions of the Bible so that they suddenly come to life for us and bring great joy. D. Help protect God’s people from fanaticism, deception, and spiritual stupor. news events, suddenly take on new meaning. F. Help God’s people sense the certainty of Jesus’ soon return and the end of the world. For a deepening love for Jesus, a vibrant new excitement about the Bible, and a fresh understanding of Bible prophecies—listen to God’s end-time prophet. You will find life taking on glorious new dimensions. Remember, Jesus said He would bless His end-time church with helpful prophetic messages. Praise the Lord! He is doing everything heaven can do for His end-time people. He intends to save His people and take them to His eternal kingdom. Those who follow Him are guaranteed entrance to heaven (Matthew 19:27–29). Note: This is the ninth and final Study Guide on the subject of the three angels’ messages of Revelation 14:6–14. Three fascinating Study Guides on other crucial subjects remain. 29. 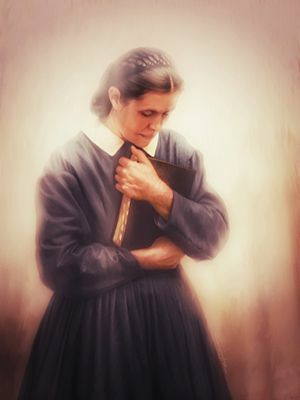 Are you willing to test Ellen White’s writings by Scripture and accept her counsel if it is in harmony with the Bible? 1. What happens when a church does not have a prophet? (Proverbs 29:18 KJV). When a church does not have a prophet to counsel, guide, and lead it back to Jesus and the Bible, the people will flounder (Psalm 74:9, 10) and eventually perish. 2. 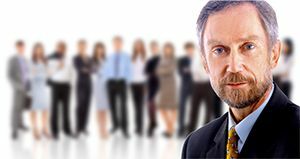 Will additional true prophets appear between now and Jesus’ second coming? Based on Joel 2:28, 29, it certainly appears possible. There also will be false prophets (Matthew 7:15; 24:11, 24). We must be prepared to test prophets by the Bible (Isaiah 8:19, 20; 2 Timothy 2:15), heeding their counsel only if they are genuine. God knows when prophets are needed to wake people up, warn them, and turn them to Jesus and His Word. He sent a prophet (Moses) to lead His people out of Egypt (Hosea 12:13). He sent a prophet (John the Baptist) to prepare people for Jesus’ first coming (Mark 1:1–8). He also promised prophetic messages for these end times. God sends prophets to point us to the Bible and its last-day prophecies; to strengthen, encourage, and assure us; and to make us like Jesus. So let’s welcome prophetic messages and praise God for sending them for our personal good. 3. Why don’t most churches have the gift of prophecy today? Lamentations 2:9 says, “The law is no more; her prophets also find no vision from the Lord” (KJV). Ezekiel 7:26, Jeremiah 26:4–6, Ezekiel 20:12–16, and Proverbs 29:18 also show that when God’s people openly disregard His commandments, prophets receive no vision from Him. When they begin to obey His commands, He sends a prophet to encourage and guide. When God’s end-time remnant church emerged keeping all His commandments—including the Sabbath commandment, it was time for a prophet. And God sent one, right on schedule. 4. What can you do to make the gift of prophecy meaningful to you? Study it for yourself and follow it prayerfully so Jesus can guide and prepare you for His coming. 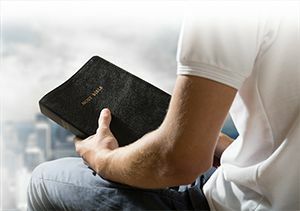 “I thank my God always ... that you were enriched in everything by Him ... even as the testimony of Christ [spirit of prophecy] was confirmed in you, so that you come short in no gift, eagerly waiting for the revelation of our Lord Jesus Christ, who will also confirm you to the end, that you may be blameless in the day of our Lord Jesus Christ” (1 Corinthians 1:4–8). 5. Will the gift of prophecy or gift of tongues play a greater role in God’s remnant church? The gift of prophecy will play the leading role. 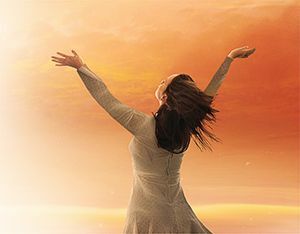 In 1 Corinthians 12:28, it is listed as second in importance of all the gifts, while the gift of tongues is listed last. A church without the gift of prophecy is blind. 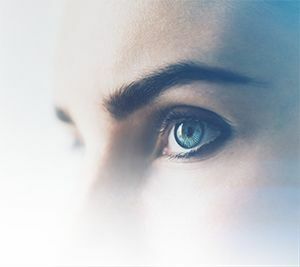 Jesus solemnly warns His end-time church of the danger of blindness and urges them to let Him anoint their eyes with heavenly eyesalve so they will be able to see (Revelation 3:17, 18). The eyesalve represents the Holy Spirit (1 John 2:20, 27; John 14:26), who gives all gifts to the church (1 Corinthians 12:4, 7–11). Heeding the words of God’s prophet will help His end-time people understand the Bible and will prevent uncertainty and confusion. 6. . If we believe “the Bible and the Bible only,” shouldn’t we reject modern-day prophets? The Bible is the sole source of Christian doctrine. However, the same Bible points out: The gift of prophecy will exist in God’s church until the end of time (Ephesians 4:11, 13; Revelation 12:17; 19:10; 22:9). To reject a prophet’s counsel is to reject God’s will (Luke 7:28–30). We are commanded to test prophets and follow their counsel if they speak and live in harmony with the Bible (1 Thessalonians 5:20, 21). Thus, people who base their faith on “the Bible only” must follow its counsel regarding prophets. True prophets will always speak in harmony with the Bible. Prophets who contradict God’s Word are false and should be rejected. If we fail to listen to and test prophets, we are not basing our faith upon the Bible. _____ The gift of tongues. _____ Conversing with dead spirits. _____ Prophets speaking to the church. _____ Sharing with the needy. _____ Only until the New Testament prophets died. _____ Until the judgment begins. _____ Until the end of the world. _____ Talks in unknown tongues. _____ Never speaks during a vision. _____ Has no breath in body. _____ May sometimes speak while in vision. _____ Unconscious of earthly surroundings. _____ May receive supernatural strength. _____ Is kindly and gracious in conduct. _____ Seems to know the Bible well. _____ Speaks and acts in harmony with the Bible. _____ Male and female psychics. _____ One who casts spells or uses charms. _____ Spirit medium or channeler. _____ A prophet who speaks and lives in harmony with the Bible. _____ Don't despise prophets or prophecy. 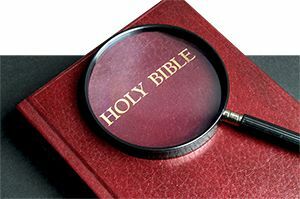 _____ Prove or test a prophet's words and acts by the Bible. _____ Ask prophets if they are true or false. _____ Believe, or hold fast to, that which is good. _____ They would not believe them if they came. _____ They are not keeping all of God's commandments. _____ They have all the light they need without a prophet. 20. I am willing to test Ellen White’s writings by Scripture and accept them if they are in harmony with the Bible. 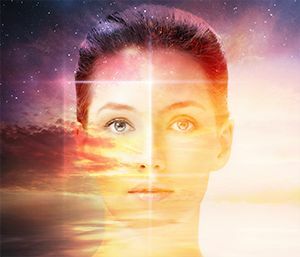 Is it safe to seek guidance from a psychic?